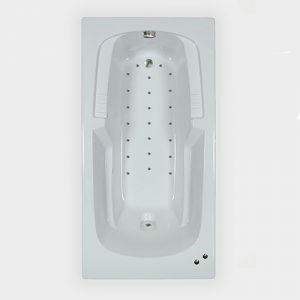 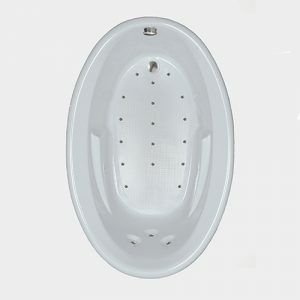 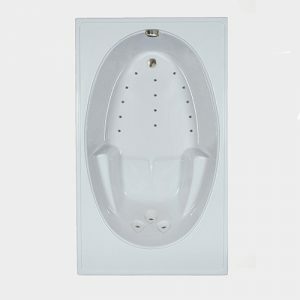 This elegant A6262 air bathtub design generously accommodates two people with three distinct sitting areas provides maximum air massage to the whole body. 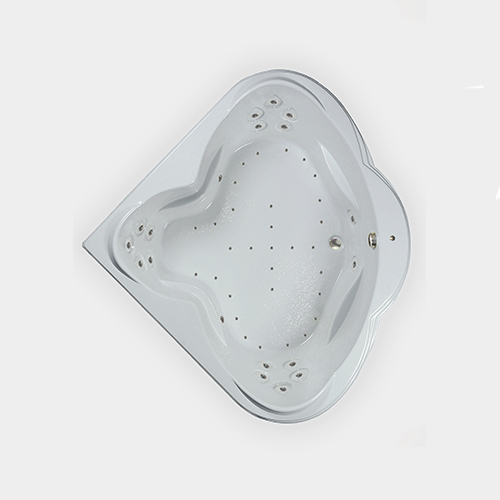 Each sitting area has a raised head rest and 5 recessed air jets to massage the back. 35 air injectors are placed in the floor of the air bath and release air through 245 air ports. 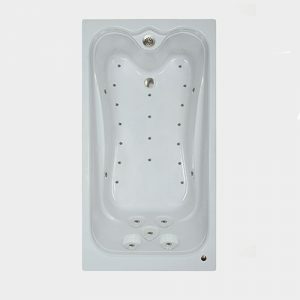 A corner jacuzzi style design that has an abundance of leg room and bathing width. 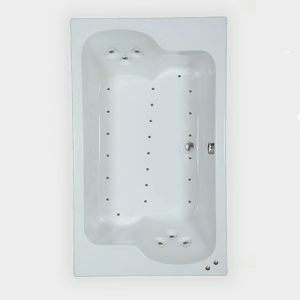 The air bath has watertight air injectors which insure water never enters any part of the air system. 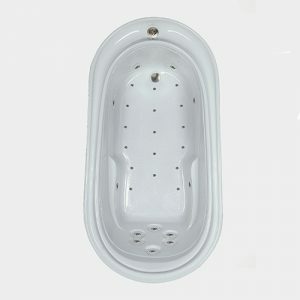 There is a Lifetime warranty on the variable speed heated air blower and the 62×62 acrylic bathtub shell. 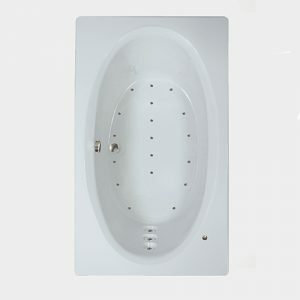 Any condensation that might form in the air lines during operation is dried 20 minutes after the air bath is emptied because the heated blower automatically comes on for several minutes to dry all the air lines. 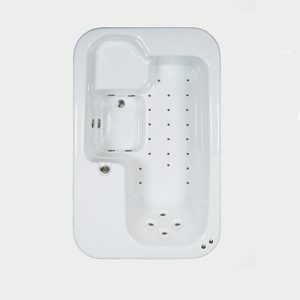 For those wanting to increase the tubs water depth, the air bath can be ordered with an optional press-flow drain/overflow assembly that increases the water depth an additional 3”.